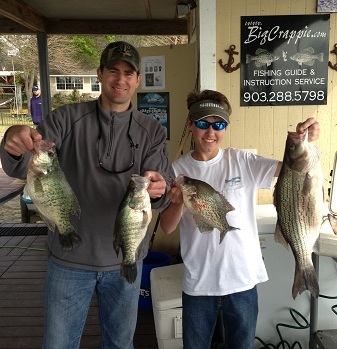 We have been catching lots of nice Crappie in 6-15ft of water lately. Jigs on 6lb line has been producing very good. The bite is light so watching your line is important. 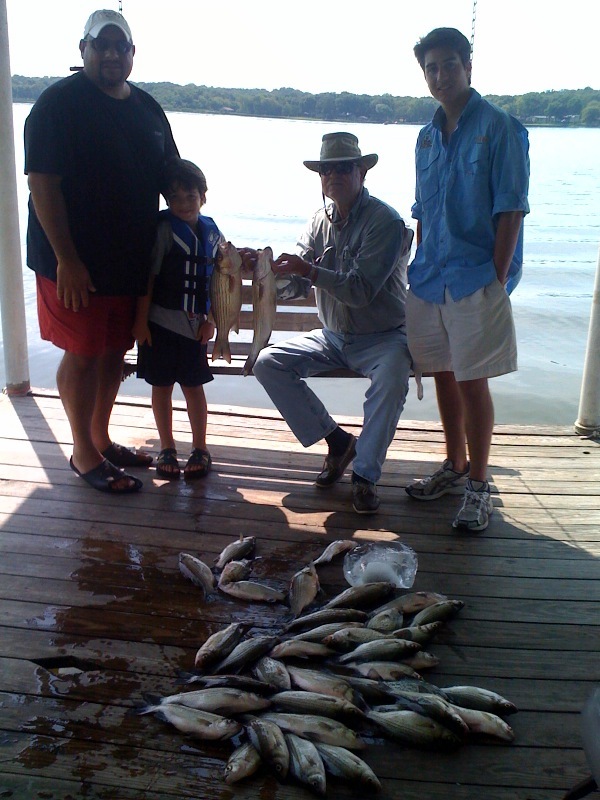 Big numbers of White Bass have been common on main lake points lately. 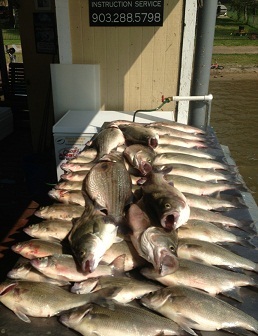 HYBRID STRIPER: The Hybrid Striper have been heating up on Cedar Creek also. 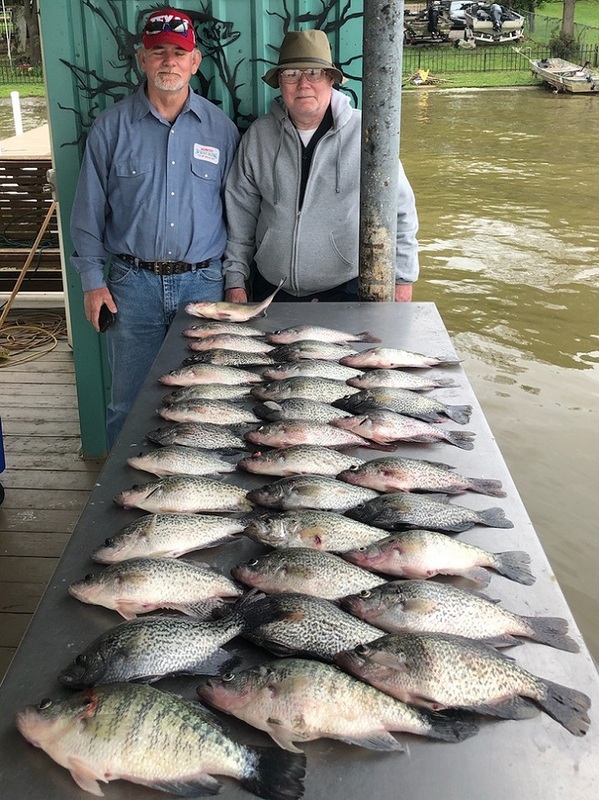 We have been catching Hybrids up to 8lbs. 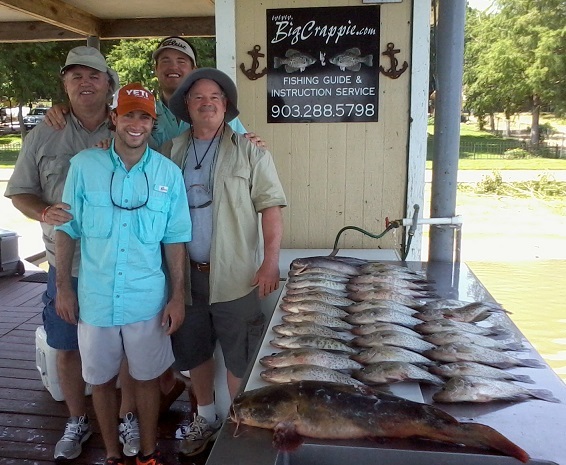 These trips are focusing mainly on CATCHING FISH of every species. 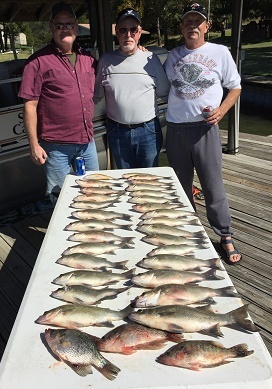 White Bass, Crappie, Hybrid Striper and Catfish. 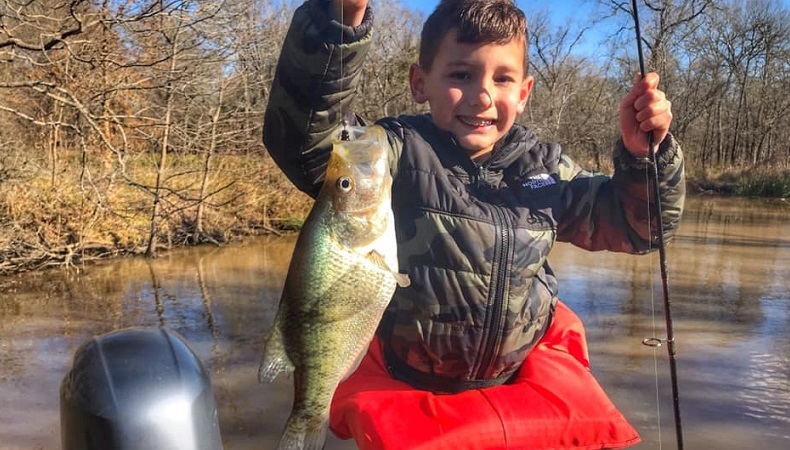 These trips are a lot of fun because you get to experience different techniques and fishing patterns for several different types of fish. The MOST bang for your buck! WHAT ARE THE FISH GOING TO DO NEXT????? 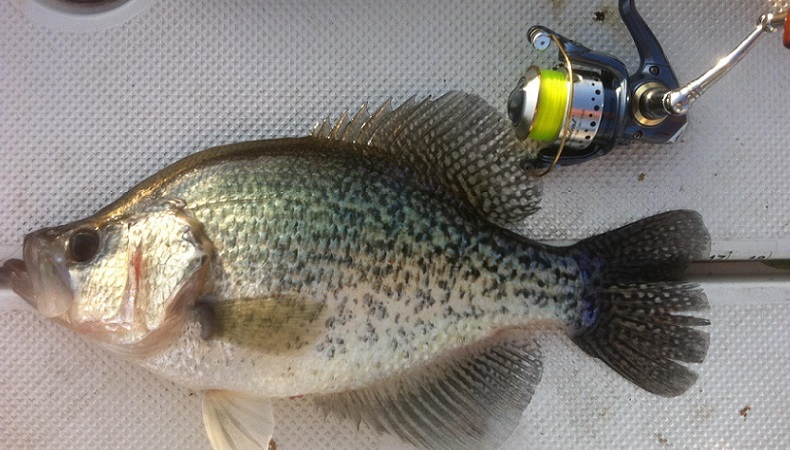 Crappie: The crappie are now on brush, and after a good two months worth of spawning, boy are they hungry! Morning and afternoon have both been very successful, as the fish are now completely refocused on eating. The next couple of months should be nothing short of awesome, as we enjoy mild temperatures, and calming winds. 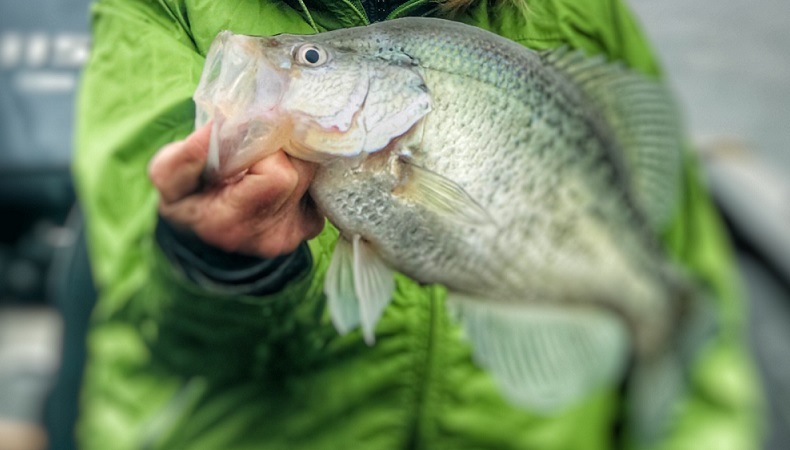 Our crappie bite should remain excellent well into July, and then it picks back up in October. White Bass and Hybrid Striper: Both species have been readily available, as our fish return from the creeks with growling bellies. All that swimming around trying to find a mate makes for some hungry fish, which makes our jobs that much easier. 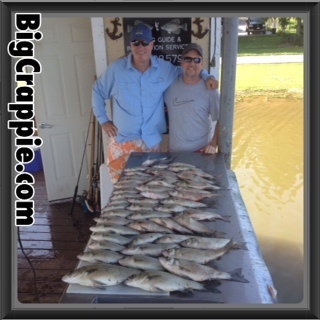 We are starting to catch fish on very shallow points, and they should be surfacing within a matter of days. If you've never got to start your day with a couple of acres of fish jumping around you, then I suggest you book a trip sometime in the next couple of weeks. We are on a great hybrid striper bite right now, and we will be the first to tell you, there is not a harder fighting fish in freshwater. 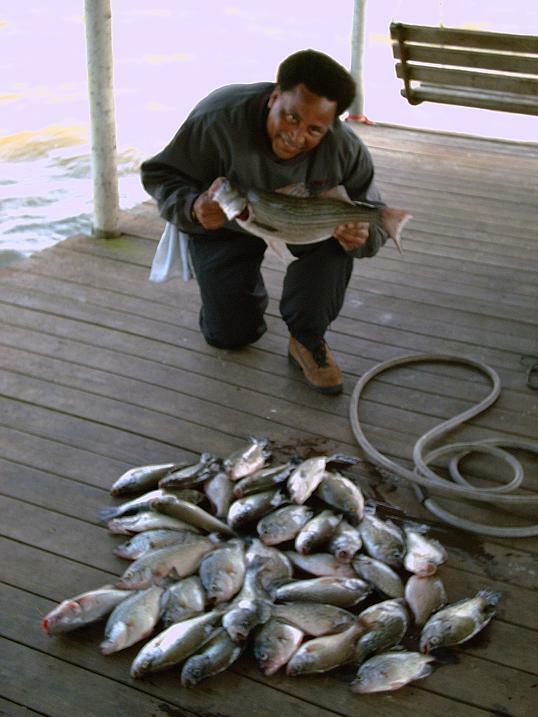 Catfish: Our catfish are getting ready to spawn, and have been visiting some very shallow water in search for shad. 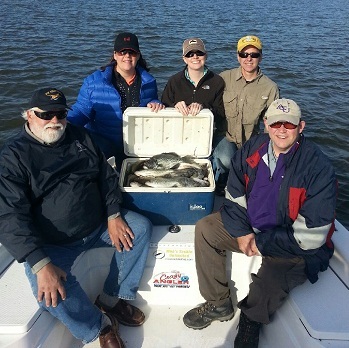 Cedar Creek has an excellent blue cat fishery, which allows the fishermen to fill their freezer in a very short time. A 2-5lb blue cat is second in taste only to the crappie, but fights so much harder. 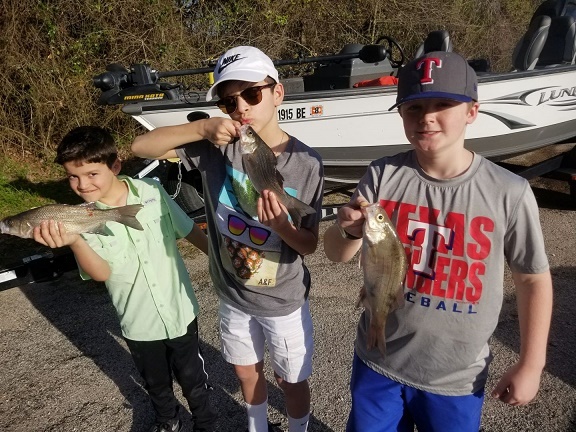 If you're interested in catching catfish, please let us know at the time you book your trip, so we can ensure that we have freshly caught bait on the boat. 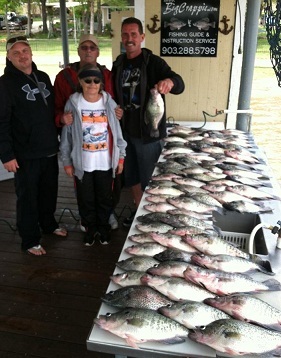 Please call or email now to book your next guided fishing adventure with BigCrappie.com Fishing Guide & Instruction Service!